1965 Toyota Stout - RK41L AKA "Lite Stout"
This very rare 1965 Toyota Stout was given to Steven Martini by Joe and Done Finster. The Finsters previously owned and operated a well known local business called IMPORT TIRE in San Diego's East Village District for more than 30 years selling automotive tires to San Diego's "whos who". There was not an attorney or real estate professional in town who did not know the Finster Brothers. The former location of Import Tire was at 13th and F Street. Steven Martini gave the restored truck to his wife (Rachelle) as his wedding gift on April 26, 2014. 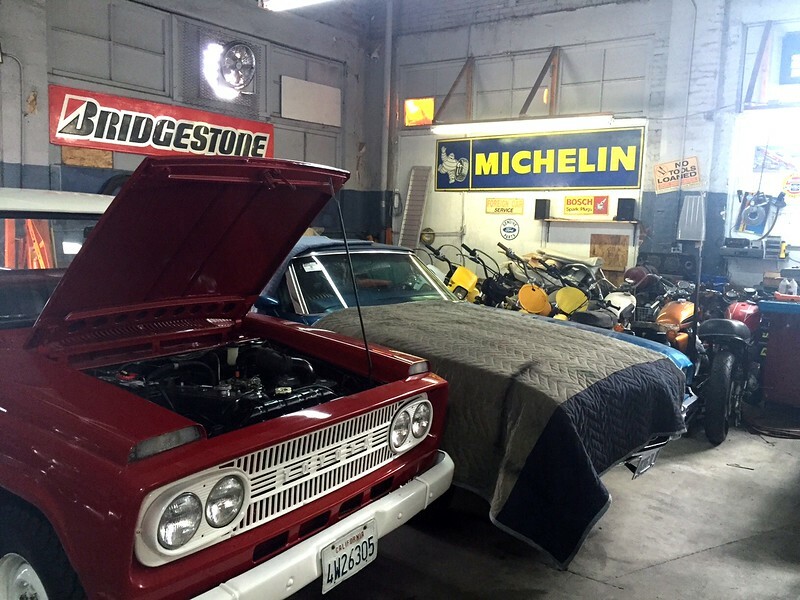 The truck was a two year restoration process that involved receiving parts from countries across the world.